While the idea of a stranger entering a house to burglarize or cause deliberate harm to its inhabitants is terrifying, there are some steps that can be taken to ensure that every family member escapes the situation unharmed. Alarm systems, non-violent defensive measures and other methods may be useful to families or individuals who come home or awaken to someone unlawfully entering their house. Although alarm systems of have long been considered a tool for the wealthy, free installations and low monthly monitoring rates have made them affordable for people from a wide range of income groups. Similarly, alarm costs can be kept low by choosing those that can be self-installed; because many such alarms are sold as packages that include sensors, security cameras and other security features, it is important to select one that can be customized to include only the components desired by the homeowner. While gun ownership is often the first consideration that individuals make when they think about effective methods of protecting their homes and families, this controversial option may not the perfect choice for everyone. In fact, some families choose to avoid guns all together if you are not aware of Gun Safe Reviews, because the violence associated with such weaponry sends a message that makes them uncomfortable. It is also important to remember that while a well-armed family may have the means to protect themselves during a home invasion, a stellar collection of guns may also increase the risk of burglary. Other families look for better ways to protect themselves because they are concerned about having deadly weapons in a house with curious children. Perhaps one of the best pieces of self defense equipment for families is a deflection shield; usable in safe rooms, bedrooms and other areas of the home, this protective measure makes it almost impossible for a home invader to disable or kill family members by firing his or her own weapon through walls or doors. While deflection shields can be defeated by high-caliber weapons, they are capable of deflecting bullets from handguns, shotguns and other commonly used, small weapons. Featuring several layers of steel, multiple deflection shields could theoretically create impenetrable rooms. 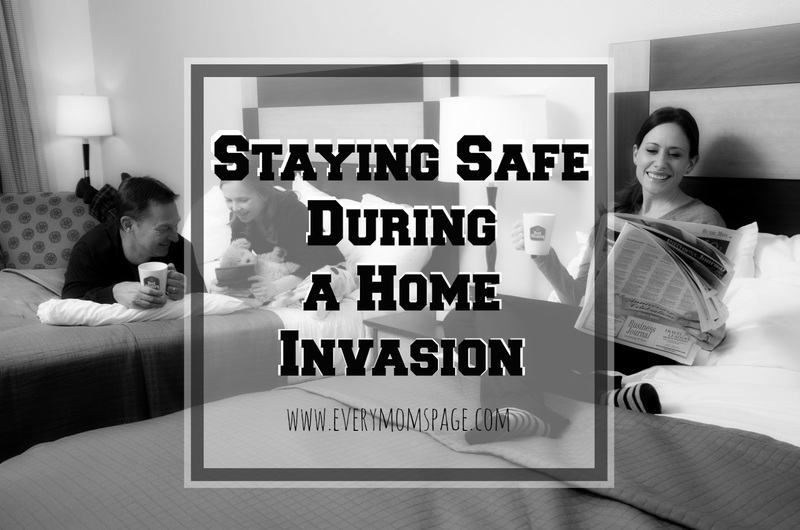 Regardless of how a home and its inhabitants are protected, ensuring that everyone remains safe during a home invasion is crucial. Combining alarm systems with other protective measures may give families an edge when it comes to protecting what is theirs.